Stylez Unlimited has been serving the Wynnefield community and surrounding areas for over 10 years. Offering superior cuts and styles, we are a full-service barber shop that caters to the needs of our clients. Men’s, women’s, and children’s services include Haircuts for all textures and styles, hair coloring (All Shades), designs (cut into the hair), razor shaves & hot towel. 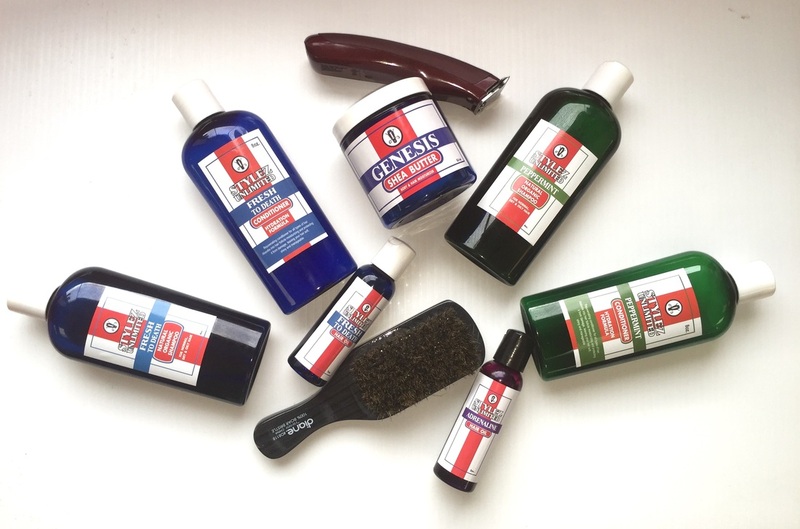 We offer complimentary shampoos using all natural, organic, products to give you the best cut possible. We value your time as much as you do so we encourage you to make an appointment with one of our top of the line barbers. If you have to wait a few minutes, you can enjoy a movie or engage in good old-fashioned “shop talk”. Not to be confused with gossip. We invite you to come in and experience for yourself our clean and courteous, no non-sense, family-friendly atmosphere where every hair cut is meticulously manicured. No detail is left-out. Get SHARP! PRODUCTS AVAILABLE IN THE HAIR CARE DEPARTMENT!!! Tuesday – Thursday: 10:00a.m. until 7:00p.m.